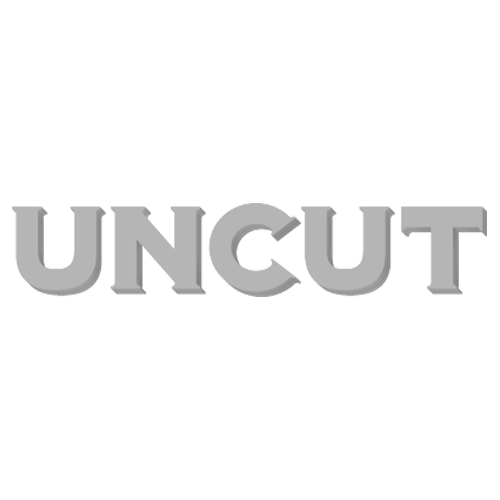 What’s inside the new Uncut? David Byrne, BB King, Sly, Merle. "New York I love you…"
As we were finishing the new issue of Uncut the other day (It has David Byrne on the cover, and is on sale now), I was thinking about the first time I visited New York in the early 1990s. I fetched up with a band at CBGB one quiet soundcheck afternoon, sometime after the club’s heyday, when it was more likely to be hosting a major label showcase of some gauche Britpop aspirants rather than the authentic, unmediated voice of the New York streets. Nevertheless, the club still had a certain cachet, however historical, which was why the band (and the NME journalist trying to put a new spin on an optimistic plot to take America by storm) were at CBGB in the first place. That day, Hilly Kristal and his dog were encountered, fleetingly. The toilets seemed more like a museum installation about punk interior design than an actual functioning WC. The critical moment occurred when the photographer and I tried to have a game of pool on the worn-out baize table near the door. As I leaned over to take my first shot, a fat cockroach scuttled out of one pocket, swerved the cueball, and disappeared down another. It was a magically horrible moment: a tale of mythic squalor where nothing really bad happened and no-one got hurt. The truth, then, is probably a bit more complex than the stereotypes, something we’ve strived to take into account while compiling a list of 50 great New York albums for the new issue. It would be disingenuous to pretend that seediness hasn’t had any role to play – if we’d been so daft as to try and rank these 50 vivid records, I’m sure The Velvet Underground & Nico would have ended up somewhere near the top. But it’s a city, and a list, that contains multitudes: from George Gershwin to Nas; The Fania All-Stars to Jeff Buckley; Sinatra to Hendrix; Woody Allen to Talking Heads. Our excuse for the list, of course, was to complement Andy Gill’s exclusive David Byrne interview, timed to coincide with his curating of the Meltdown festival in London this summer. I would say this, of course, but there’s a lot of good writing in this month’s Uncut: David Cavanagh on BB King and the blues at a crossroads; Laura Snapes on the fascinating Ezra Furman; John Lewis on the early days of Sly & The Family Stone; John Robinson on the multi-faceted Paul McCartney, Michael Bonner on “The Monsanto Years”. Plus, in a notably eclectic selection of interviewees, we can also boast Merle Haggard, Flying Saucer Attack, The Only Ones, The Monkees, Gordon Lightfoot, Mary Wilson and Paul Weller. Oh, and the free CD features Sleaford Mods and Duke Ellington as well as Omar Souleyman, Stewart Lee and Rocket From The Crypt, besides some more predictable faithful retainers (Jason Isbell, Shelby Lynne, The Dream Syndicate). Something for everyone might be pushing it, a bit, but hopefully you appreciate Uncut’s horizons broadening. The History Of Rock – a brand new monthly magazine from the makers of Uncut – goes on sale in the UK on July 9. Click here for more details. The August 2015 issue of Uncut is in shops now.